London: Snubbed by Germany for the World Cup, Leroy Sane also had to deal with being dropped entirely from Manchester City’s squad early in the Premier League season. In a period when City manager Pep Guardiola is heavily rotating his squad, Sane remains a constant in the starting line-up — but it’s not just down to his superb form. With left back Benjamin Mendy likely out for another two months because of a knee injury, Sane is the only other player to give City genuine width on that flank. 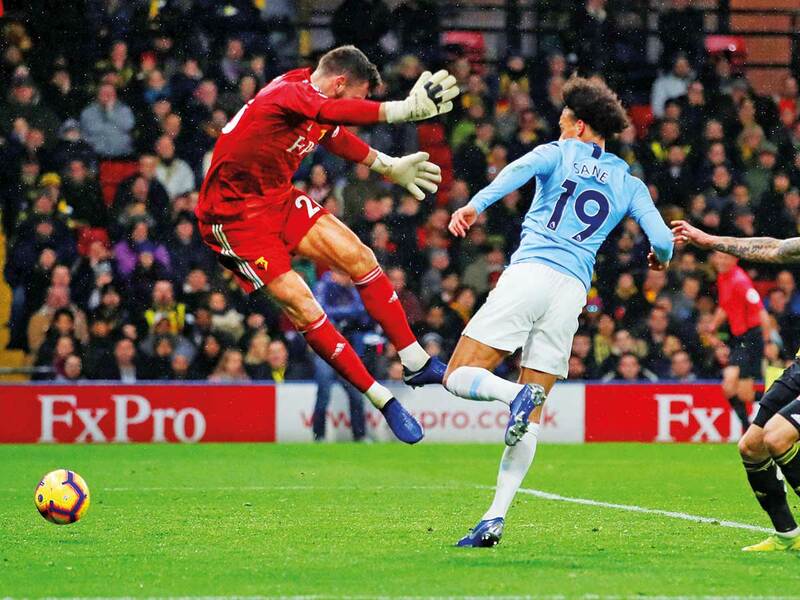 City weathered a late fightback from Watford, which reduced the deficit in the 85th through Abdoulaye Doucoure’s scrambled effort and then pumped many balls into the box in an attempt to force an equaliser. Wilson has scored eight goals in 15 league appearances this season, matching his career-best tally from last season in 13 games fewer. The striker’s form earned him a call-up to the latest England squad.